In addition to your usual cooking modes, the model can simmer and sauté your food. It is even capable of making desserts in the steaming basket. 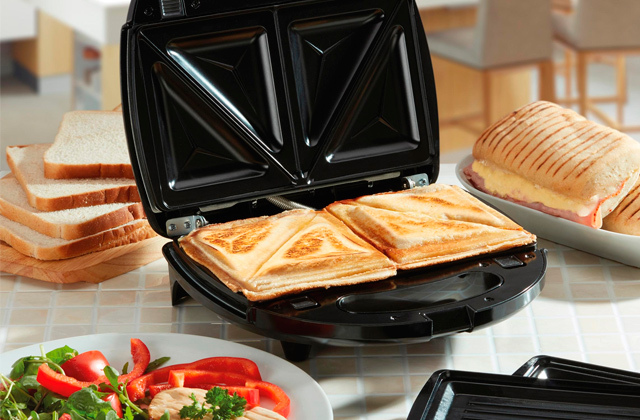 Tefal's very own one-handed opening system makes it a real breeze to open and close the lid. The maximum pressure is limited to12 pounds per square inch. If you do not feel like slaving over a hot stove but you'd still like to treat yourself and your family members to wholesome homemade meals, Tefal Clipso Minut Easy is a pressure cooker for you. It'll fit a student learning the ropes just as well as an experienced chef looking to showcase his cooking skills. 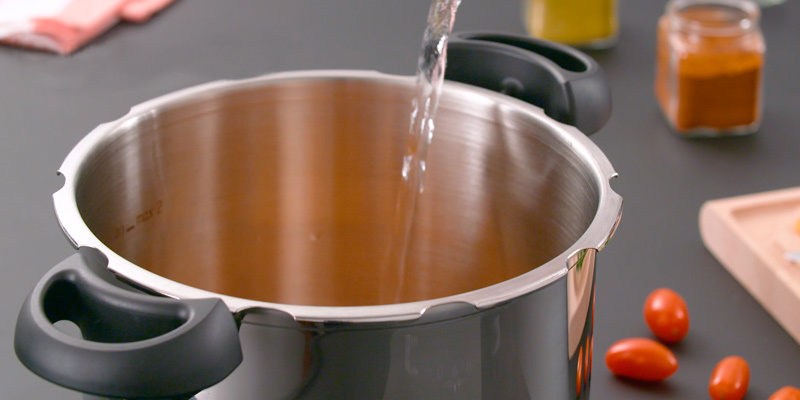 The unique twist open/lock system of the lid and phenolic handles make this cooker very convenient in use. Small handle size will save you a lot of space when storing the cooker. The timer may be inconvenient to detach from the pot lid. The Tower cooker is superb fora whole family. The cooker also suits busy people as it is equipped with a detachable digital timer to monitor the cooking progress remotely. Using the steamer basket that comes with the cooker, you'll be able to steam vegetables, fish, or meat to perfection. The two-step pressure setting valve will allow you to adjust the pressure level to your particular ingredients. The instructions leave quite a bit to be desired. 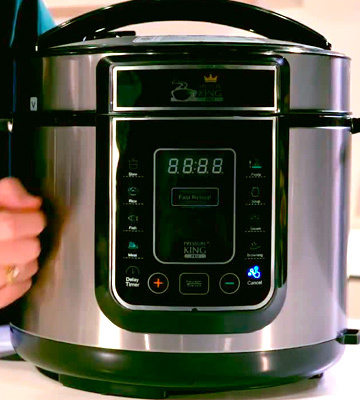 There isn't a kitchen or a homeowner that wouldn't benefit from the Tower T90101 pressure cooker. 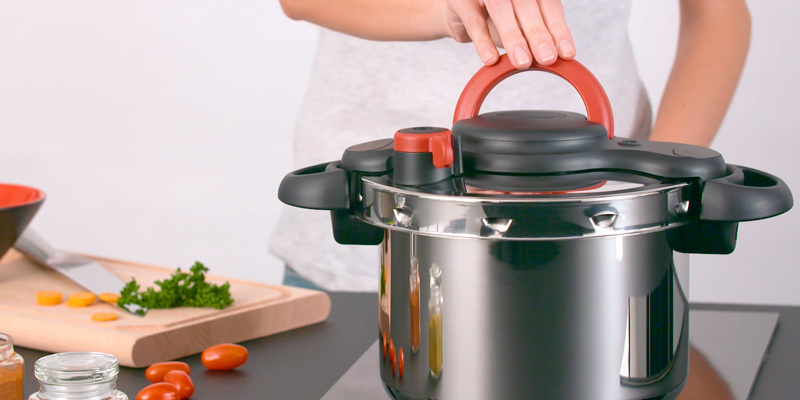 With this pot, you'll be able to prepare all sorts of delicious meals. On top of everything else, it is easy to handle and it doesn't weigh a whole lot, especially considering how durable it is. The model can be used as a slow cooker. 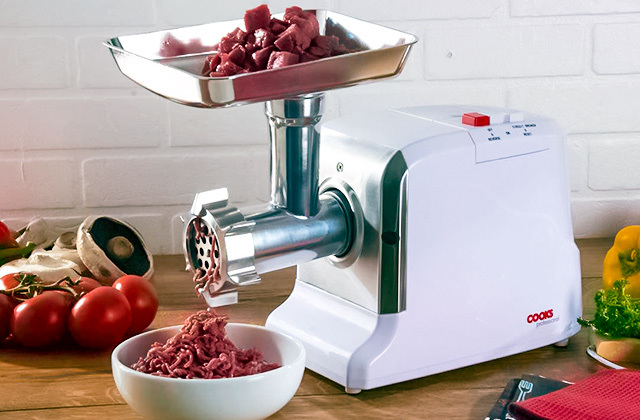 This way, you'll be able to tenderise some of the less expensive cuts of meat. Using the 24-hour delay timer, you'll have the option of switching the function in the morning and having your food ready when you get home. Cleaning the inner lid is a little challenging. With Pressure King Pro PKP5LCH, making a hearty, scrumptious meal is about to become a whole lot easier. 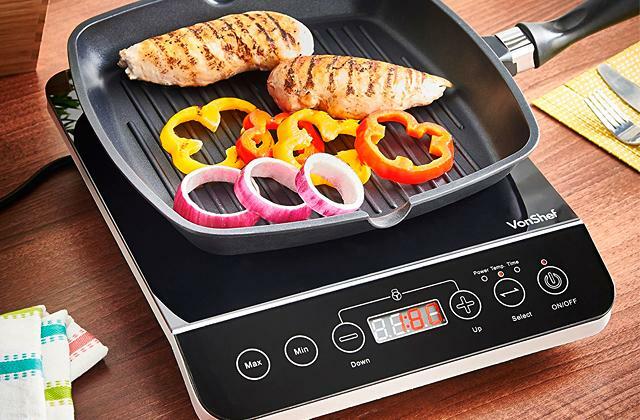 Thanks to its ridiculous array of safety features and pre-set programmes, the model is equally suitable for seasoned cooks and inexperienced beginners. This Tefal appliance is extremely safe owing to its 5 built-in security systems. The cooker design features the systems preventing an inner pressure rising in case of untight lid closing. The marking on the safety valve may get wiped away after some time. Is a great helper for every homemaker. Two programs allow preparing various tasty and healthy lunches, dinners, suppers for those who are rare cooks. 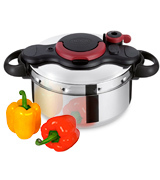 Tefal Clipso Minut Easy may still be just a pressure cooker but it will do so much more for you than the average model. Sure, not unlike the majority of these cookers, it will boil, brown, stew, bake, and prepare all kinds of meat and fish in a variety of different ways. But this model is also capable of simmering and sautéing your food. Heck, it is even capable of making desserts in the steaming basket. So, as far as one appliance goes, this is more diversity than you could ask for. Not necessarily as much of a huge detail but another advantage of this product that most people notice right away is the lightweight construction. 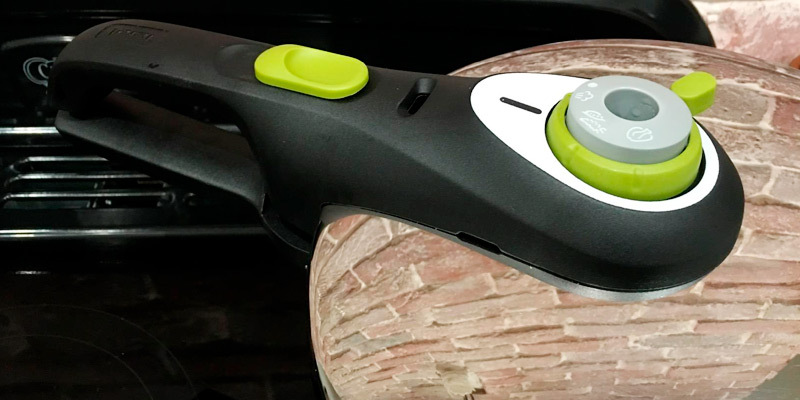 The folk at Tefal have been able to reduce the weight of the previous version of this model by 30%, making Clipso Minut Easy weigh just 2.2 kilograms. Aside from the obvious advantages of its light weight, the model in question also comes equipped with two fixed handles. They'll make it easier than ever to lift the cooker and to handle the whole thing. 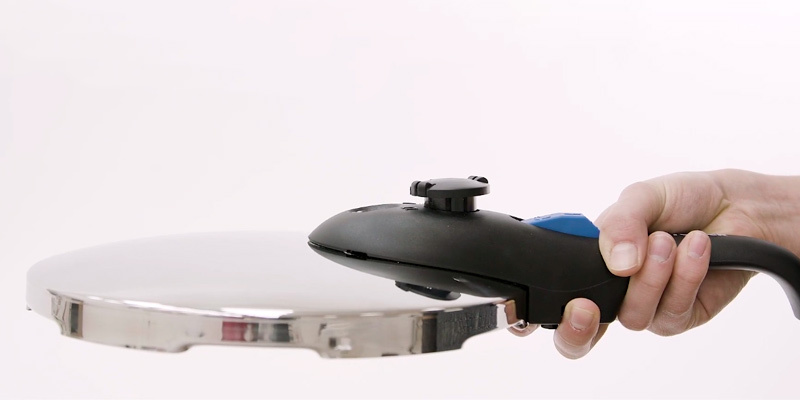 While we're still on the subject of handles and operation, we would probably be remiss not to mention Tefal's very own one-handed opening system. It may not sound revolutionary but the system makes it a real breeze to open and close the lid. Simply lifting the handle unlocks the lid and lowering said handle locks it back again, and that's about as convenient of a system as it gets. Tefal Clipso Minut Easy comes with a three-ply base. 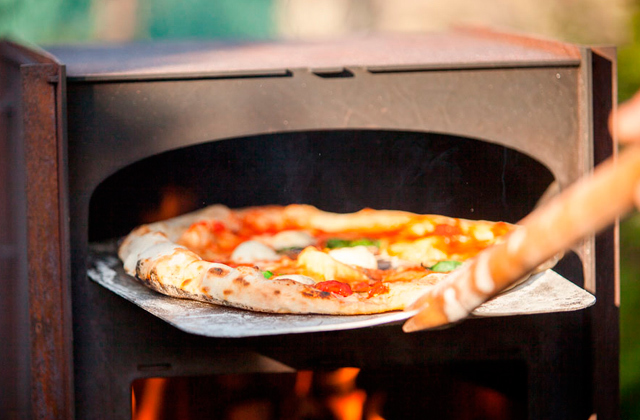 A base like that ensures outstanding heat distribution, the most important aspect of even cooking. Plus, it is compatible with all heat sources, so it will fit your stove regardless of the company behind it and its type. 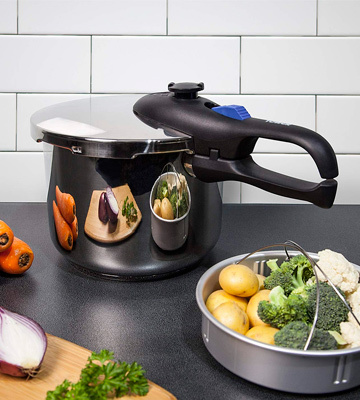 Like most pressure cookers nowadays, the model from Tefal has a 6-litre capacity, so you'll be able to prepare meals for an entire family without having to refill the pot. The said pot is dishwasher safe, meaning that cleaning it won't present much of a challenge either. 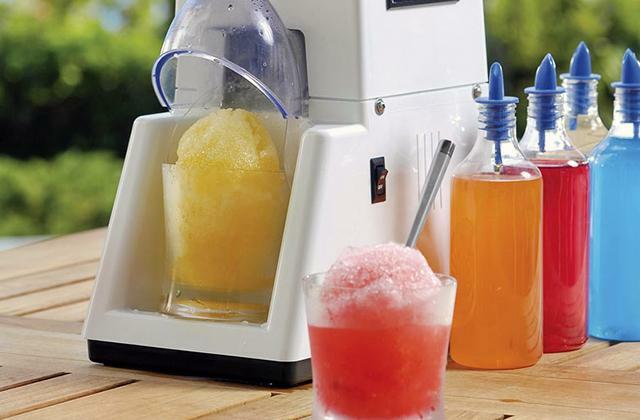 We've been rambling about how intricate this appliance is for quite some time now. So some people might get the impression that this is a complicated appliance designed strictly for experienced chefs. But that isn't the case here. Aside from the aforementioned opening and closing system, the model includes 3 additional safety features: a gasket that releases pressure, a visual pressure indicator, and the usual safety valve. So you can cook with confidence and without worrying about any accidents happening in your kitchen. In short, if you do not feel like slaving over a hot stove but you'd like to treat yourself and your family members to wholesome homemade meals, Tefal Clipso Minut Easy is a pressure cooker for you. It'll fit a student learning the ropes just as well as an experienced chef looking to showcase his or her cooking skills. Unlike electric cookers, the Tower T90103 is a highly versatile pressure cooker that can be heated on practically any cooking surface including induction cooktops, what will surely appeal to many homemakers. The appliance has a pot with 6 litres capacity which is sufficient for making various dishes for the whole family without refilling the pot (one pot cooking). Keep in mind that how quickly your dishes will be cooked will depend on the kind of stove you use at home, and the rule of thumb is: the more powerful it is the better. The manufacturer has used stainless steel as a material for the body and lid of the T90103 cooker, which is the best fit as these stainless steel parts boast the durability and longevity that fully meet users’ expectations. The encapsulated base of the cooker made of composite aluminium and steel material provides an even and steady pot heating that allows using this cooker pot for a myriad of cooking options. 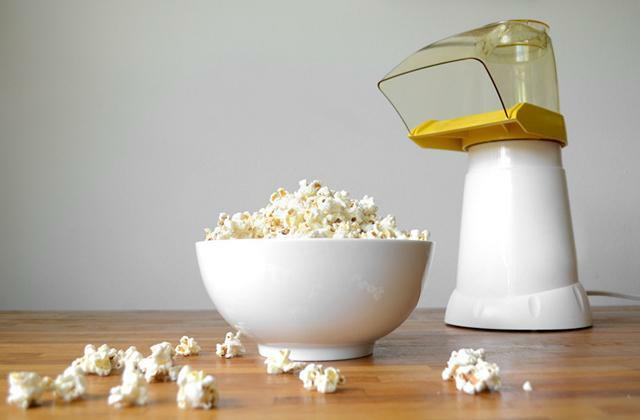 The design of this appliance combines a full-metal body with phenolic resin handles. 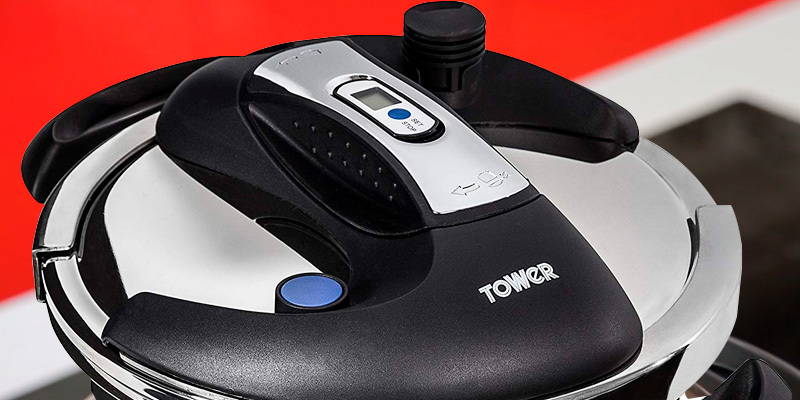 The Tower T90103 allows you to greatly reduce the cooking time as compared to the time required for conventional cooking on a stove in pots and pans. 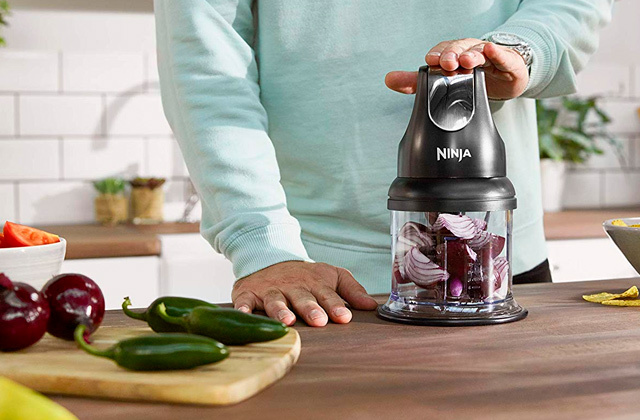 What is even more important, this cooker preserves up to 90% of vitamins and nutrients in your food. 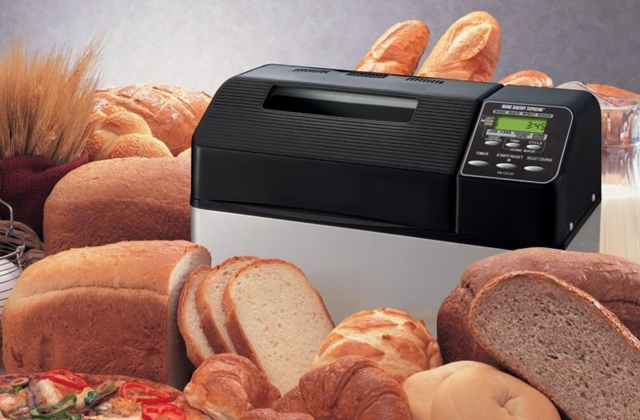 When using the Tower T90103 model you can easily brown, boil, steam, braise, stew and roast vegetables, meat, fish and other foods. The informative detachable remote timer serves to count the time for your cooking. Owing to the pressure cooking method, you can even take the pot off a cooking surface at the final stage and place it wherever you want without worrying about undercooking or overcooking. The twist lock/open system allows for fast and secure lid locking, making the use of the Tower T90103 absolutely safe and hassle-free. The integrated pressure limiting valve serves as a vent device ensuring that the excessive pressure is released duly; the pressure indicator, in turn, notifies the user when the pressure inside the pot reaches the maximum limit, this way making it easier for you to detect a problem if it occurs and fix it. 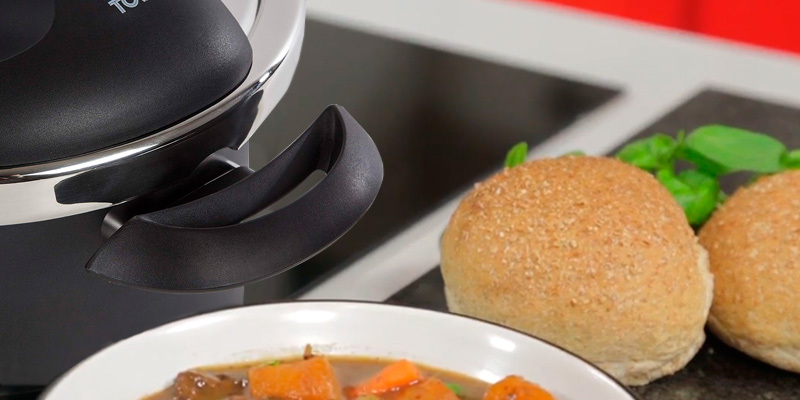 To avoid overheating of the housing, the handles on the body of the pressure cooker are made of high-quality phenolic material which stays cool to the touch throughout the whole time of use. Tower T90101 doesn't necessarily tower above the most expensive cookers on the market but it definitely gives them a good run for their money. As far as we're concerned, the product has little-to-no actual flaws. The only real issue we have with it is the instruction manual. It could use some improvement in the details department. 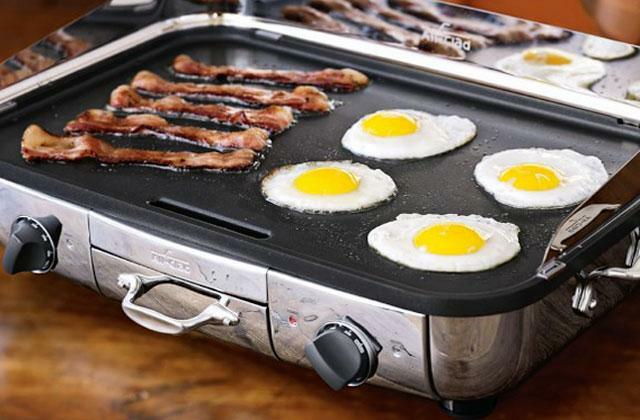 But, other than that, this is as good of a cooker as any of them. Not dissimilar to most of its competition, the model features a 6-litre capacity and a 22-centimetre diameter. It makes this piece of kitchenware suitable for the entire family. 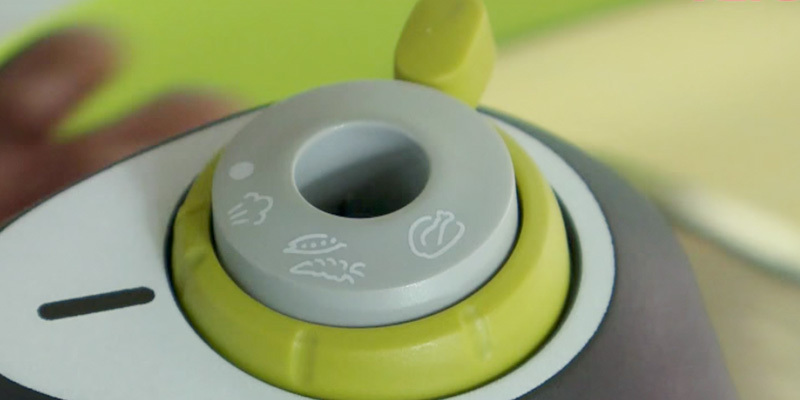 With it, you will be able to prepare some of your favourite meals in a third of the time of conventional methods. It locks in far more vitamins and nutrients, all whilst wasting a lot less fuel. Using the steamer basket that comes with the cooker, you'll be able to steam vegetables, fish, or meat to perfection. The biggest downside of most pressure cookers is that they don't really give you a whole lot of wiggle room to personalise the cooking press. Fortunately, with Tower T90101, that isn't the case. The two-step pressure setting valve will allow you to adjust the pressure level to your particular ingredients. So you won't just get healthy and delicious results every time you cook but also a different outcome and a different take on your favourite dishes every time you feel like experimenting with the meal. On paper, pressure cookers do not differ that much from each other, so you really have to pay attention to the details to pick out the right model. In this case specifically, to the aluminium and steel encapsulated base. A base like that makes the model suitable for all hobs, including induction. 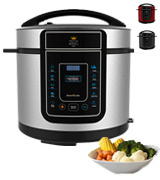 Plus, it guarantees optimum heat distribution, so you'll be able to brown, steam, stew, braise, boil, and roast in one pot, making this appliance a versatile cooking essential. The high-quality stainless steel construction in and of itself is nothing to write home about. But, accompanied by phenolic stay-cool handles and an easy-operate push button, you get a piece of cookware that is as reliable as it is practical. All things considered, there isn't a kitchen or a homeowner that wouldn't benefit from the Tower T90101 pressure cooker. 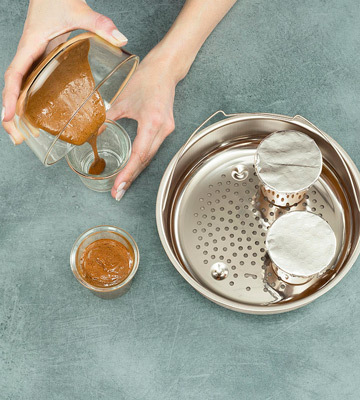 With this pot, you'll be able to prepare all sorts of delicious meals. On top of everything else, it is easy to handle and it doesn't weigh a whole lot for such a durable model. 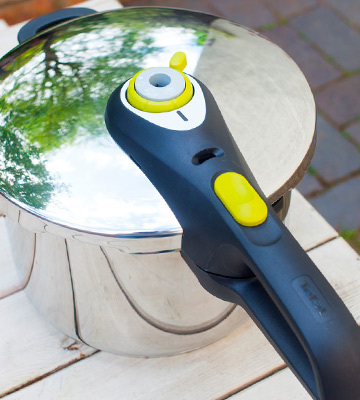 Pressure King Pro PKP5LCH is the only electric pressure cooker in this review. Unlike its stove-top counterparts, the model works at a lower pressure. That means it takes a little more time to prepare your meal. But it does have its advantages too. First and foremost, it is a lot safer than any stove-top cooker could ever hope to be. 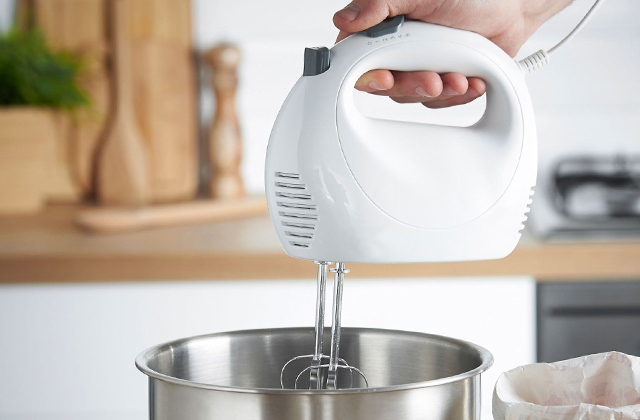 This little piece of kitchenware comes equipped with 11 safety features. Some are straightforward and self-explanatory, like the cool-to-touch outer wall and handles, an anti-clogging lid, a safety lock on the said lid, and an anti-blockage vent. Some are a little more sophisticated and complicated, such as the model's pressure regulation protection, automatic temperature and pressure control, excess pressure control, warning notifications, and moisture collection. Suffice it to say, all of these features don't just make the appliance particularly safe but also a lot more practical than any stove-top pressure cooker. Of course, it isn't just about the safety features. Its electric nature doesn't make the product any less efficient when it comes to retaining and preserving 95% of the food's vitamins and nutrients. With its 5-litre capacity, the model will allow you to prepare a delicious hearty meal for the whole family in a few minutes. Faster doesn't always mean better. In fact, with certain meals and various food items, going slow is the only way to go. 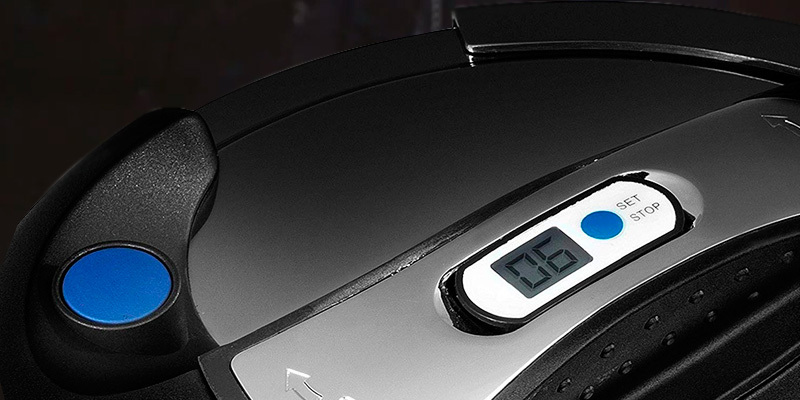 Fortunately, Pressure King Pro PKP5LCH also incorporates the functionality of a slow cooker. Using this long, low-temperature cooking method, you'll be able to tenderise some of the less expensive cuts of meat. It just as well brings out the flavour and uses a lot less electricity than the standard approach. Cooking can be difficult. But not with this electric pressure cooker. Equipped with 12 pre-set programmes, it covers all of the most common cooking tasks. Using the 24-hour delay timer, you'll be able to switch the function in the morning and have your food ready when you get home. Once your food is cooked, the Keep Warm mode automatically kicks in. It keeps the food warm for a long time, 'till you are ready to eat it. On top of everything else, the model incorporates a fast re-heat mode. 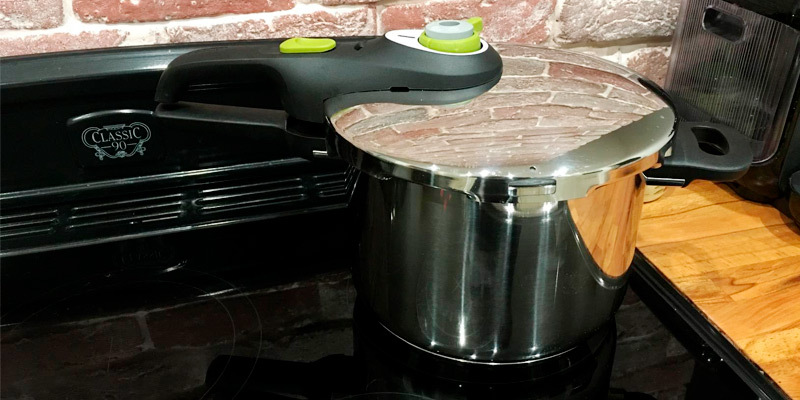 As you'd imagine, this mode quickly warms up cooked food, a simple but particularly convenient function. The only thing we don't like about this product is the inner lid. Made of cheap aluminum, this thing can be difficult to clean. Other than that, with Pressure King Pro PKP5LCH, making a hearty, scrumptious meal is about to become a whole lot easier. 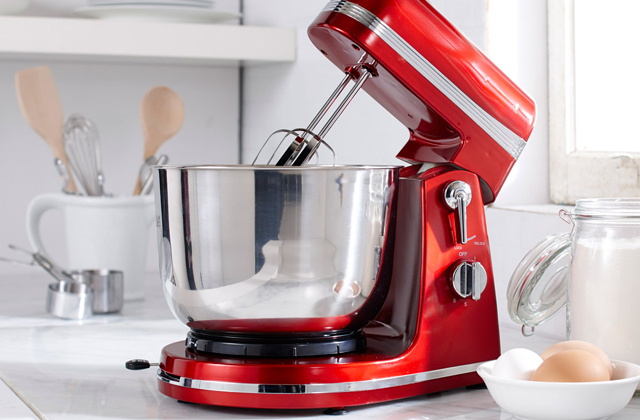 With its ridiculous array of safety features and pre-set programmes, the model is equally suitable for seasoned cooks and inexperienced beginners. 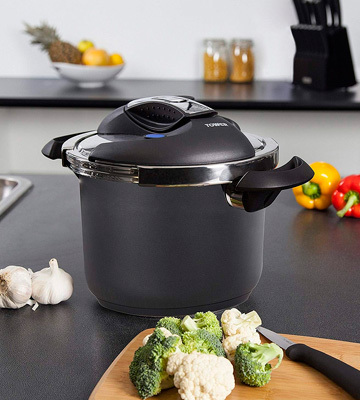 The Tefal Secure 5 Neo Pressure Cooker is an outstanding purchase because of its compatibility literally with all the modern stoves and hobs, such as gas stoves, boiling tables, and even induction cooktop. The large 6 litres cooking pot will prove itself indispensable for meal cooking (without additional refilling) even for a big family. The power of the heating surface that you use this cooker with is complemented with a pressure cooking operation. This combination allows speeding up the cooking and utilising the heating energy in a most effective way. The pot and the lid are made of a strong and resistant material which ensures reliability of the whole unit. Thus, this Tefal Secure 5 Neo Pressure Cooker will retain its cooking performance and durability for many years after the purchase. The three-layer bottom of the pot ensures an even food heating and very effective utilisation of thermal energy. All the parts of this non-electric cooker are made dishwasher safe to facilitate the cooker maintenance and save your time. The long ergonomic handle is made of heat-resistant material. 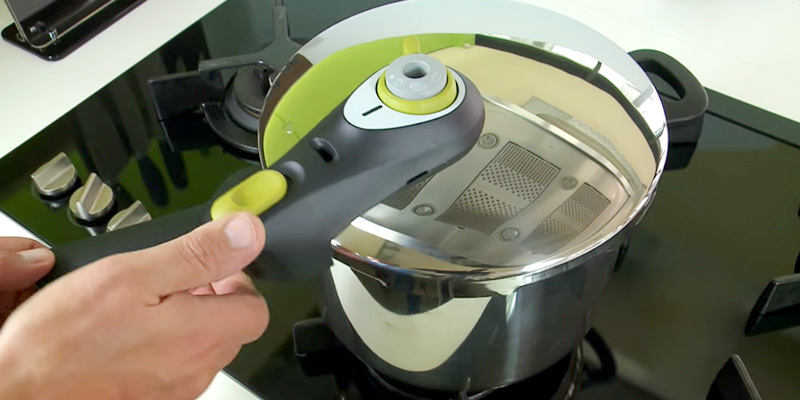 The Neo Pressure Cooker is a surprisingly versatile cooking appliance. It makes you a master in steaming, simmering, braising, boiling, baking, sautéing, poaching, and frying. Due to the availability of 2 ingredients-dependent cooking programs you will be able to cook both meat and vegetable dishes quickly while saving about 70% of the heat as compared to conventional stove cooking. The Steaming basket, which is included in the supply package, enables you to cook extraordinarily tasty and healthy dishes. 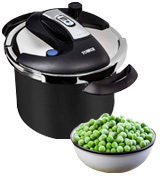 This is one of the best pressure cookers by Tefal that was designed with safety in mind. It totally prevents a user injury by steam or heat during its use. 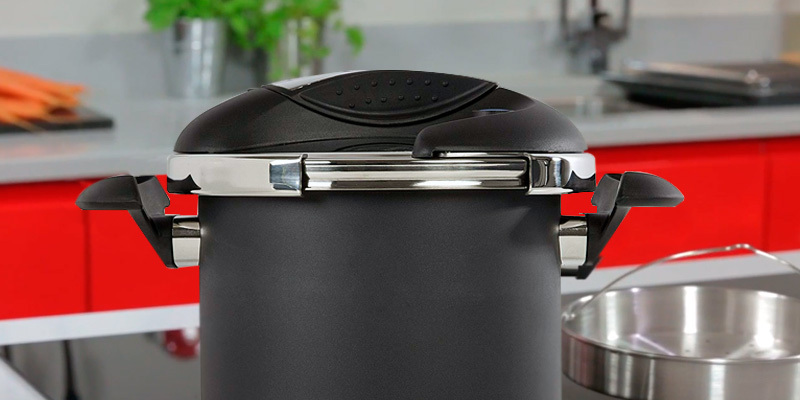 The 5 integrated security-oriented systems, including the Auto-lock system for the lid closing and opening, ensure that the cooker does not start cooking if the lid is misaligned or not sealed tightly. The pressure control valve, safety valve and the gasket will not allow a steam to get out of the pot and hurt you. If you are always in haste but don’t want to put up with eating fast-food, you need a pressure cooker. 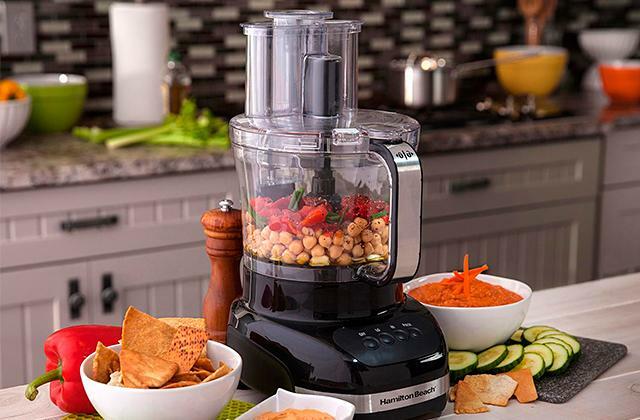 This modern kitchen appliance will do you a lot of good by preparing mouth-watering, healthy meals and much quicker than you’d do in a conventional pot. 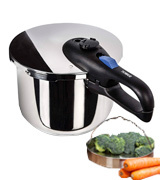 Pressure cookers look very much like conventional pots with the only difference being that the former have sealed construction preventing leakage and allowing for cooking under high pressure. This method of cooking allows the food to preserve all of its nutrients and is ideal for the whole family including little kids. 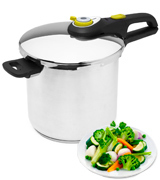 Today pressure cookers are widely used not only at home but also in restaurants and cafes. Their popularity is immense! You may also be interested in reading our other comprehensive review on slow cookers which are used to prepare soups, meat, fish, jam but in a slower way, or rice cookers which are irreplaceable for cooking delicious rice. 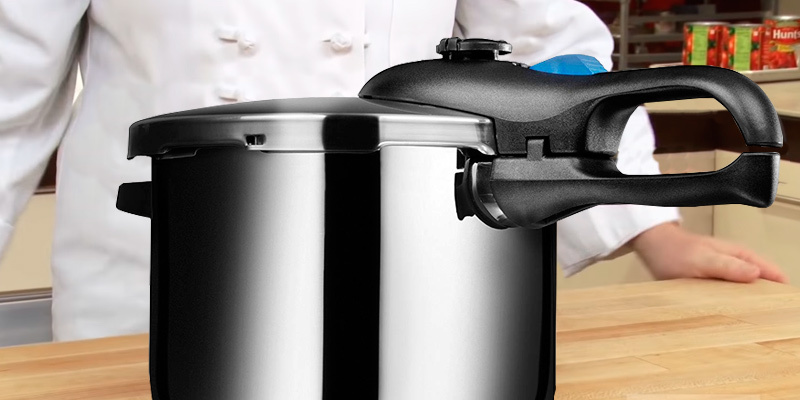 The first thing you need to consider when choosing a pressure cooker is the capacity and power. And here you must know that there are 2 types of cookers: electric and stovetop. No need to say, an electric cooker requires electricity whereas a stovetop cooker is basically a metal pot you put right on top of your stove (no matter gas or electric). Any electric cooker has the certain power - make sure it is at least 1000 Watts which is a standard for this kind of kitchen appliances. When you are done with this choice, go to the capacity which shows you how much food you are able to prepare. If you have a common family, you can choose a typical 6-litre cooker, but if you need this appliance for professional use (for a restaurant, for example) or for feeding a lot of people - make sure to choose a bigger cooker. If you want to use a pressure cooker for many years without any troubles you should pay attention to the material it is made from. As usual, there are cookers made of stainless steel (both electric or stovetop) and aluminium. Aluminium cookers are usually more affordable but less health-friendly due to the peculiarities of this material. Aluminium cookers look like pots with a multi-layer bottom for even heat distribution; a lid firmly adjoins the pot thanks to a Sealing method that most often includes a silicone or rubber ring (though some models have an all-metal sealing system). As usual, a silicone sealing ring is more durable compared to a rubber one. Keep in mind that you will have to change the sealing ring from time to time. The lid usually has a couple of valves to release excessive pressure and one of the valves automatically does it when the pressure becomes dangerously high. Of course, you can set up the maximal pressure level. Stainless steel cookers are more expensive but safer for health. If you choose an electric appliance, you will be able to clean the inner pot in a dishwasher. When you are done with choosing a material, check what weight it has. No need to say, aluminium is lighter than stainless steel. One more really important issue to take into account is the cooking modes by which we mean what kind of food you can use a cooker for and what pre-set programs the appliance offers. For example, a stovetop cooker is most often used for canning and stewing whereas an automatic electric one is a multi-functional appliance that can serve as a rice cooker, slow cooker, and so on. Therefore, choosing an electric cooker pot allows you to save up the money and get an awesome kitchen helper. And those who want to preserve food need a large canner crock pot. Finally, you need to be sure your appliance will not blow up and that is why make sure to check the safety and sensors. 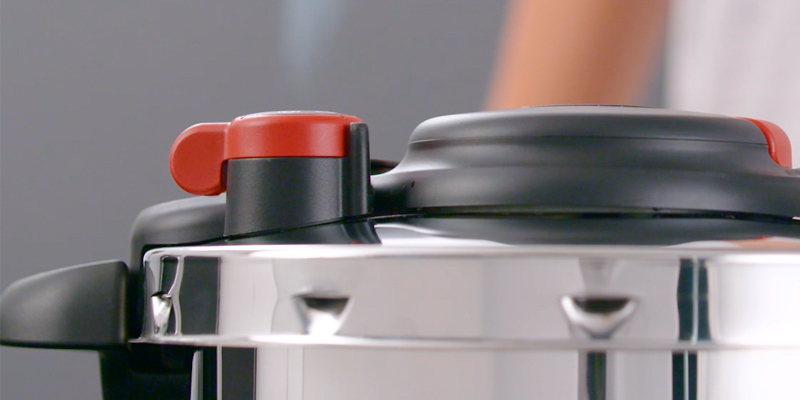 All pressure cooking pots have a lid lock which ensures the safe position of a lid and prevents its accidental opening. Also, every good crock pot has an overpressure release - if the pressure inside gets too high a special vent (or valve) will get rid of the excess. 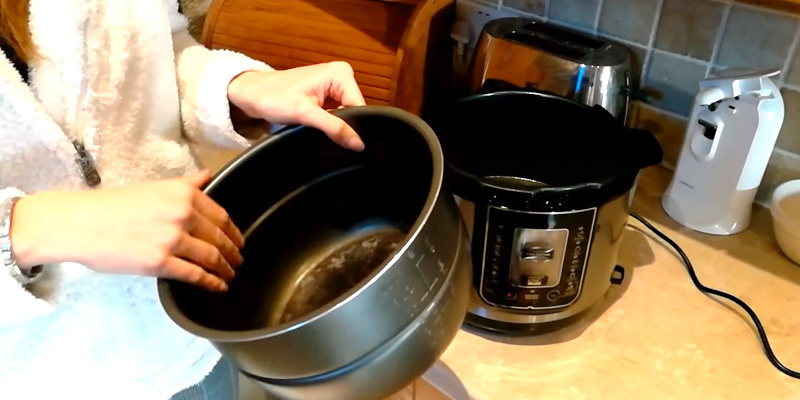 Electric cookers are totally automatic, while on crock pots you need to set the max. pressure level manually. Sold stovetop crock pots have a sophisticated manual locking system - you just manually do all the locking so the accidental opening is impossible. Also, pay attention to sensors every appliance has: electric ones have an LED display that shows the operation modes and a thermal sensor that controls the temperature inside a pot, whereas most stovetop crock pots have just a pressure gauge. 1. Alan Henry What to Look for in a Pressure Cooker, Lifehacker. November 2, 2013. 2. 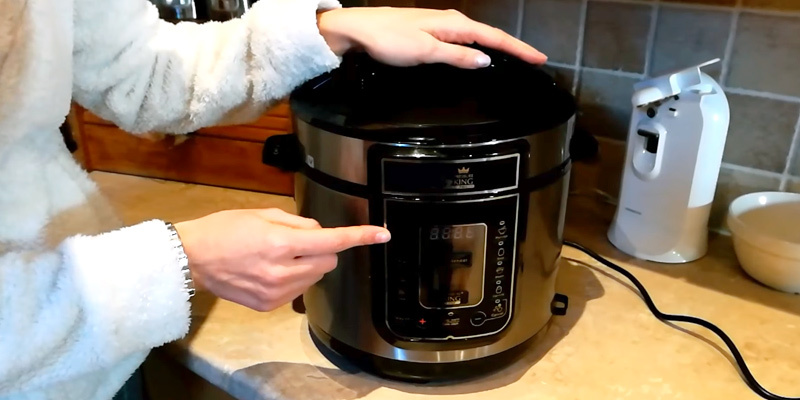 Laura Pazzaglia The Pressure Cooker Buying Guide, Hip Pressure Cooking. November 1, 2015. 3. Tabitha Alterman Choosing a Pressure Cooker, MOTHER EARTH NEWS. January 2012. 4. Jessy Ratfink How to Use a Pressure Cooker (and Choose Which One to Buy), Instructables. 5. Sara Bir How to Buy Your First Pressure Cooker, Paste. April 13, 2015. 6. Matthew Steen Pressure cooker buying guide, CHOICE. January 9, 2017. 7. Pick Your Pressure Cooker, Williams Sonoma. 8. Choosing a Pressure Cooker, Chowhound. January 27, 2015.